Kilo 1K Green Apple Candy pods are perfect for apple lovers and candy fanatics alike. Full of juicy, sweet and sour apple candy flavor, Green Apple Candy pods by Kilo pack a deliciously tangy punch. 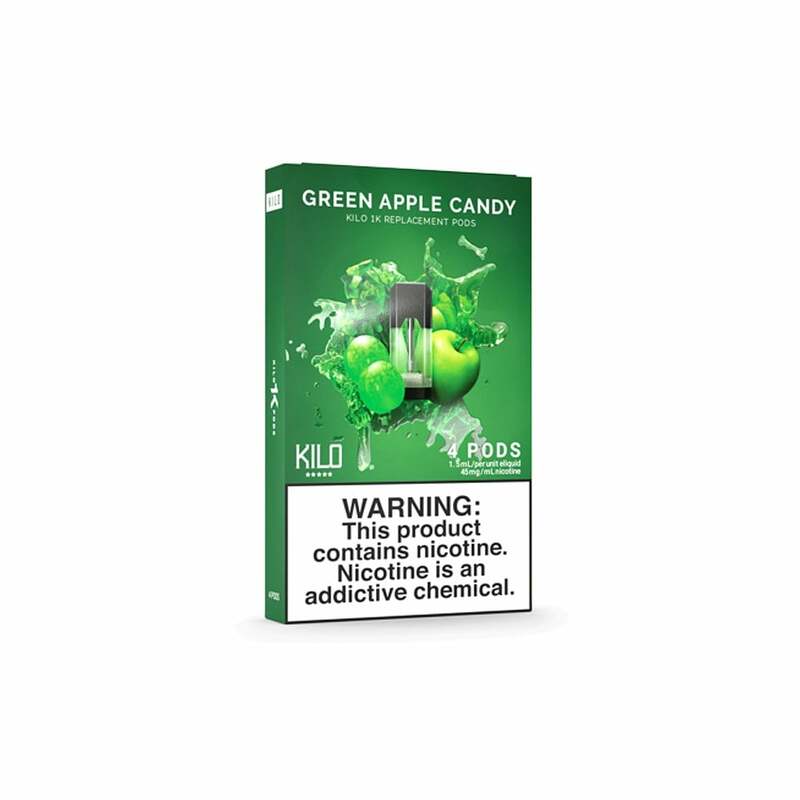 Kilo 1K Green Apple Candy pods are made with nic salts for a smooth, super-satisfying vape.